Tenor Andrius Bartkus was born in Šiauliai, Lithuania. 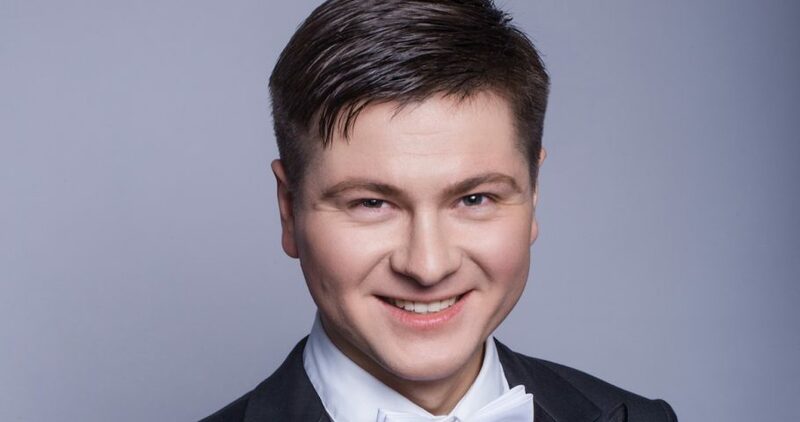 After studying with Algirdas Janutas and graduating from the Lithuanian Academy of Music and Theatre, he was selected to join Lithuanian National Opera and Ballet Theatre as a soloist – intern. Andrius has performed with Lithuanian National Symphony Orchestra, Kaunas City Symphony Orchestra, St. Christopher‘s Chamber Orchestra, Palanga Wind Orchestra and others, collaborating with conductors including Johannes Wildner, Gianluca Marciano, Gintaras Rinkevičius, Andris Vecumnieks, Julius Geniušas, Vaclovas Augustinas. He is frequently invited to take place in various projects and festivals. In March 2018 he had a debut as Anatole in musical Natasha, Pierre & The Great Comet of 1812 by Dave Malloy with Youth Musical Theatre in Vilnius. In August 2017 Andrius took part in jazz oratorio premiere Littoral Hymns by Jonas Jurkūnas cooperating with Klaipėda State Musical Theatre. Amongst his operatic roles performed in Lithuanian National Opera and Ballet Theatre are Camille de Rosillon Die Lustige Witwe, Nemorino L‘elisir d‘Amore, Gaston La Traviata, Triquet Eugene Onegin and Blowie the Wind The Tiny Lingonberry. Roles accomplished with Baroque Opera Theatre company in Vilnius includes Acis Acis and Galatea and Jupiter Semele. Collaborating with Baltic Chamber Opera Theatre he has been heard as Lenski Eugene Onegin. From 2018 in search for a further vocal advancement Andrius has gained admission to study for a Master‘s level degree at Norwegian Academy of Music with Prof. Barbro Marklund.